At Petuum, we aim to provide industries like healthcare with machine learning (ML) building blocks, putting the creation and upgrading of AI solutions into users’ hands. ML can support doctors by taking over routine, tedious, and data-intensive tasks, allowing them to spend more time on the parts of their practice that require a human touch. 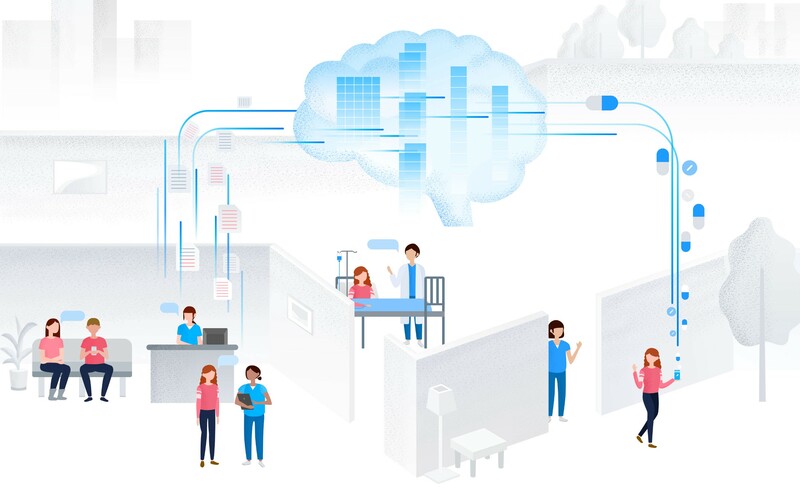 By providing doctors with the information they need to make better decisions, ML can transform the healthcare industry and improve the lives of healthcare professionals and their patients. One aspect of our healthcare-specific ML platform helps doctors identify and correct for medication discrepancies — unintended differences in documented medication regimens when a patient is admitted, transferred, or discharged. Medication discrepancies affect 70% of patients and around one third of those discrepancies have the potential to cause moderate to severe harm*. In order to identify and resolve discrepancies, it’s crucial to verify and compare patients’ admission and discharge medications (a process called medication reconciliation). Providing predicted discharge medications at admission time will allow doctors to easily detect the discrepancies that may occur at discharge time. This will help effectively avoid medication errors such as incorrect dosing, duplications, and omissions to ensure patient safety. Correctly predicting discharge medication upon patient admission poses a great challenge for doctors — the information available at admission time is limited and a patient’s condition may evolve during an inpatient stay. However, advanced ML techniques can efficiently digest and leverage information from millions of past admission notes to predict discharge medications with high accuracy. These predictions can serve as early-warning tools so that doctors can proactively monitor medications to be prescribed and reduce unnecessary medication errors. With this aim in mind, we built a convolutional neural network (CNN) that takes admission notes as inputs and predicts the medications that will be prescribed to a patient at discharge time. At a high level, the model (1) uses multiple layers of stacked hidden units to capture the latent semantics of input notes, (2) uses convolutional operators with different window sizes to capture the local semantics and sequential structure existing in phrases, and (3) discovers common latent factors to capture the pharmaceutical correlations among medications. This means that it distills semantic patterns from unstructured and noisy texts and can pick out which medications are most commonly correlated. We applied the model to predict eight antihypertensive medications: metoprolol, furosemide, lisinopril, amlodipine, atenolol, hydrochlorothiazide (hctz), diltiazem, and carvedilol. To train the model, we collected a clinical dataset that contained the admission notes of 25,000 patient visits, each of which were labeled with a subset of antihypertensive medications by human physicians. We compared the CNN model against four baseline classification models, including multi-layer perceptron (MLP), support vector machine (SVM), random forest (RF), and logistic regression (LR). Table 1 shows the precision (P), recall (R), and F1-score (F) of different methods for each antihypertensive medication. The last two lines show the micro- and macro-averaged scores over all medications. In our experiment, the CNN achieves much better micro and macro average F1 than the baseline methods. The performance gain is attributed to the CNN’s hidden layers and analysis of common latent factors, both abilities that the baseline methods lack. Our CNN uses a hierarchy of hidden layers to capture semantics in the admission notes at different granularities. For instance, Table 2 shows four groups of phrases detected by different filters in the convolutional layer, where each group corresponds to a coherent medical topic. Our CNN is also able to capture correlations among medications that share common latent factors. Table 3 shows the correlations (CORR) learned by the model and the pointwise mutual information (PMI, another way of measuring the association strength between medications) scores computed from the training data. The rankings based on correlation are very consistent with those based on PMI — for all medications except lisinopril, the most correlated medication found by our CNN is the same as that found according to PMI. Evaluated on 25,000 patient-visits and 8 antihypertensive medications, our model achieves an averaged precision of 0.63 and recall of 0.70. We believe this method could help physicians to avoid medication discrepancies, better adjust treatment plans, and offer personalized medications more quickly (we will cover these other points in future posts). Moreover, although our solution is motivated by solving a specific task, it has potential to be generalized for other clinical predictive tasks.